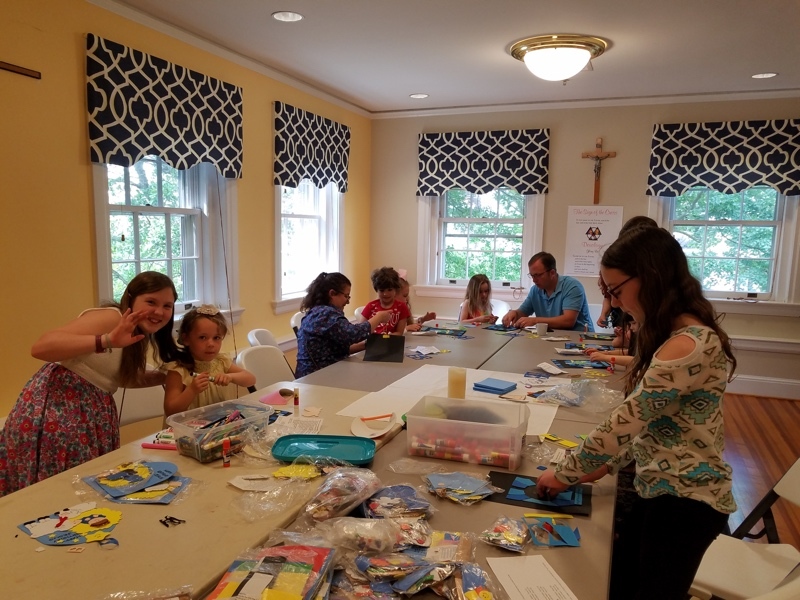 The Mass Box is a program for 3-7 year olds to help your family get ready for each and every Mass with craft supplies, kids missals, and coloring sheets delivered every month to your door! 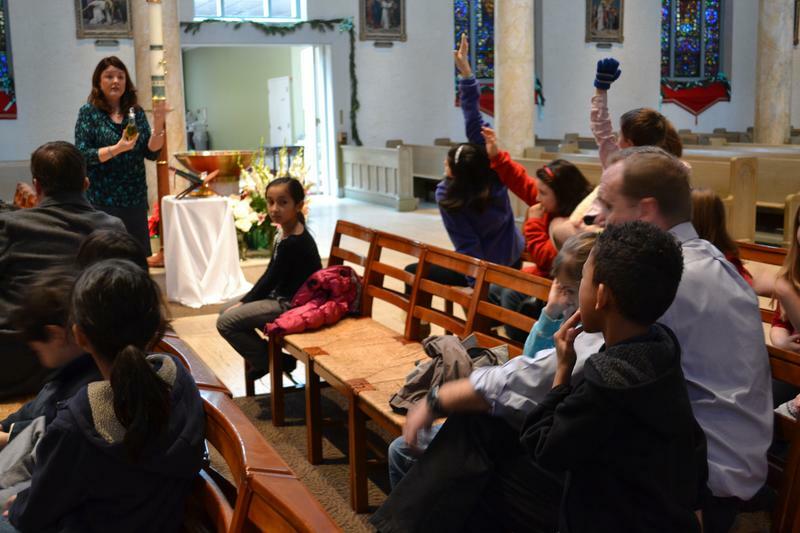 Religious Education for Children and Youth in grades K-8 meet on Sunday mornings, September – May at 9:15 a.m. to 10:45 a.m. The program consists of a well-rounded approach to forming Disciples that includes prayer, study, and experience. Please stop by anytime to find out more information and to register. Sessions for the 2017-18 year start on Sunday, September 10, 2017. All are welcome, anytime. 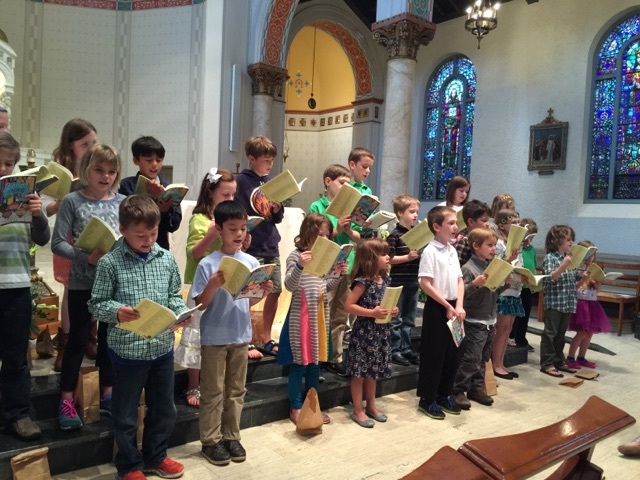 Children’s Choir: Consists of students in grades 2-5. 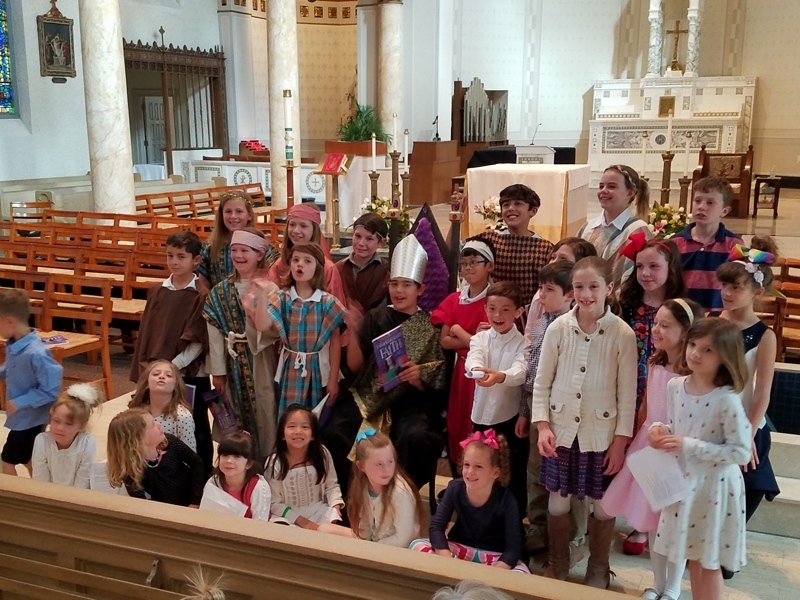 They practice on Sunday mornings from 9:15 a.m. – to 9:40 a.m. typically on the 2nd and 4th Sundays, Religious Education students will automatically attend. Students not in Religious Education are invited to participate, There is a separate registration form. For children 6 months and older. Children are dropped off before mass and are picked up after the liturgy. Come join the team! This program is designed for children ages 4 through 2nd grade. 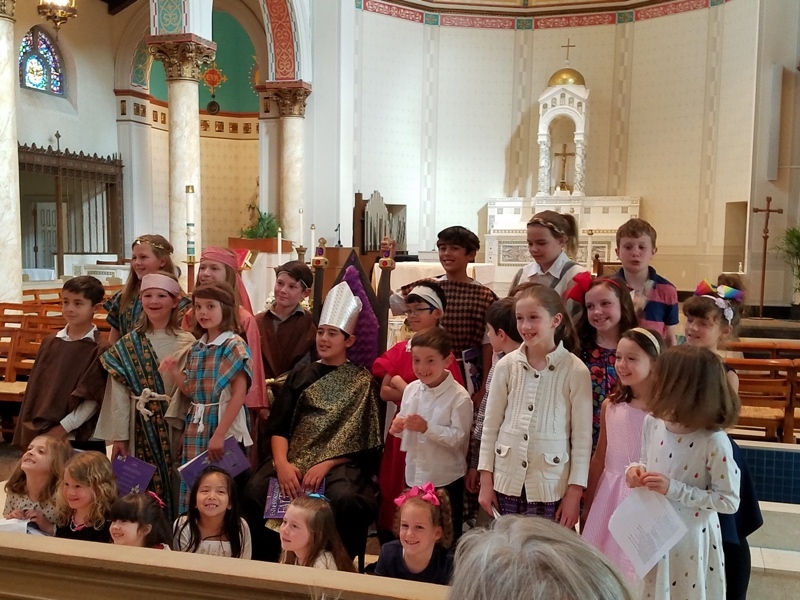 This is a liturgy of the word for our young people, where they will hear the same scripture proclaimed during mass, but read and explained at their own level. 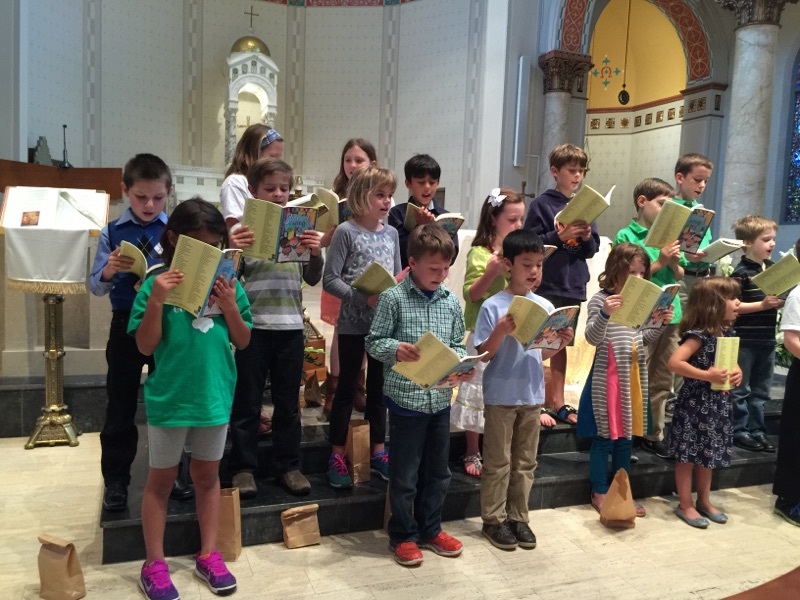 Children are dismissed from mass after the opening hymn and return during the offertory. 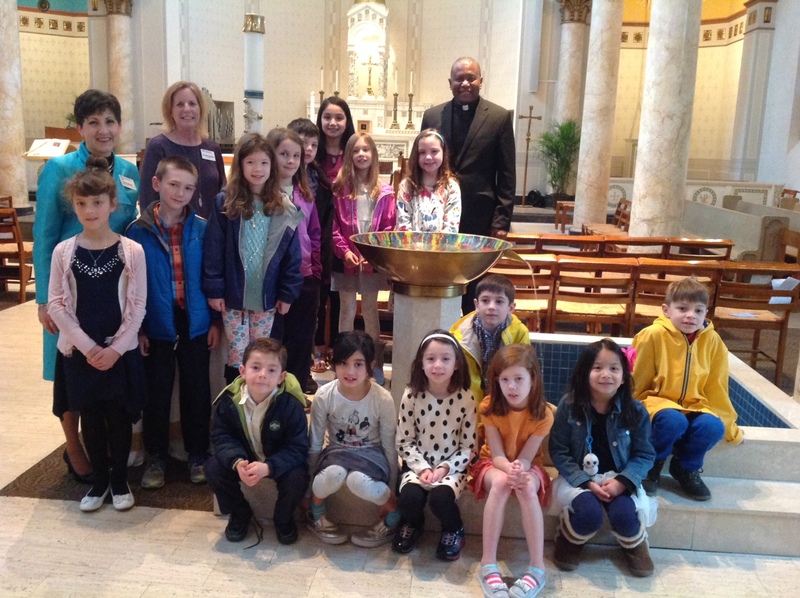 To volunteer, or if you have questions, please contact Amy Woods at amy@sacredheartnorfolk.org or 625-6763.